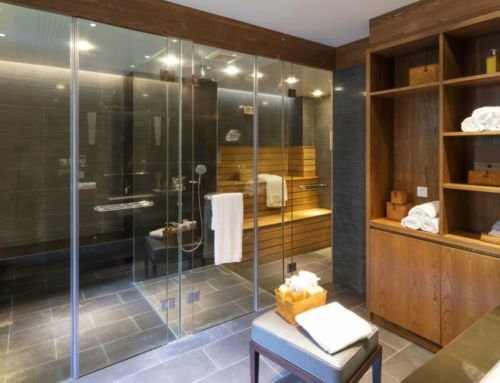 All that glitters is gold? At least, that’s the case for Hollywood’s biggest night. Set to air on February 26, 2017 at 5:30 PM PST on ABC, the 89th Academy Awards will be filled with stars, statuettes, red carpets and gold, gold, gold. 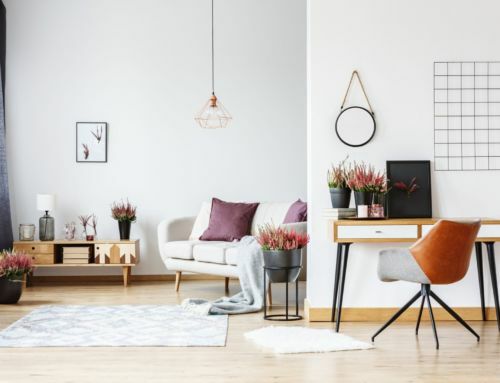 While not everyone can snag a ticket to the Kodak Theater this Sunday, you can still host a memorable viewing party at home by turning your living room into glammed-up haven with these chic, gilded objects. 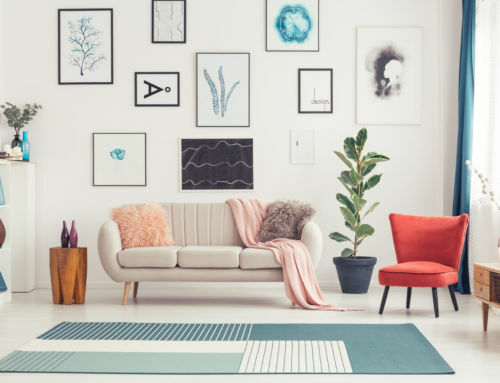 Who knows, you may love them so much that you’ll want to keep them on display well past Sunday! 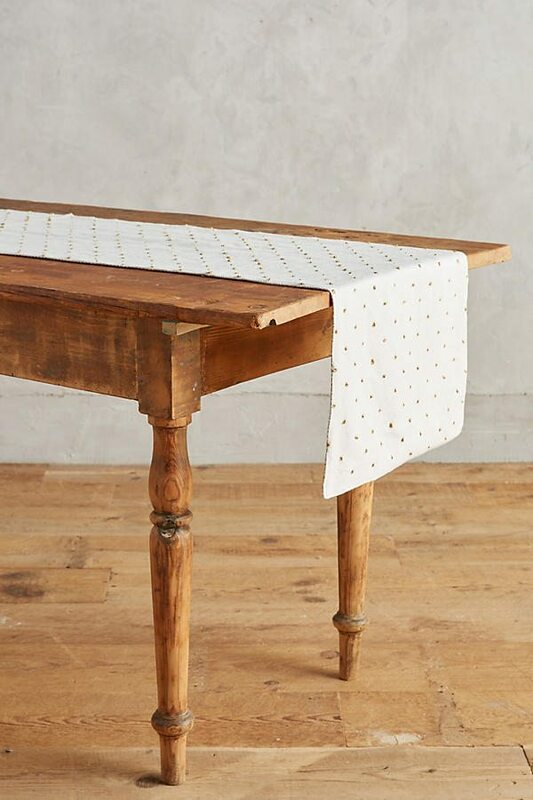 This dotted cotton runner from Anthropologie gives you the golden touch — without going full over-the-top Vegas showgirl. 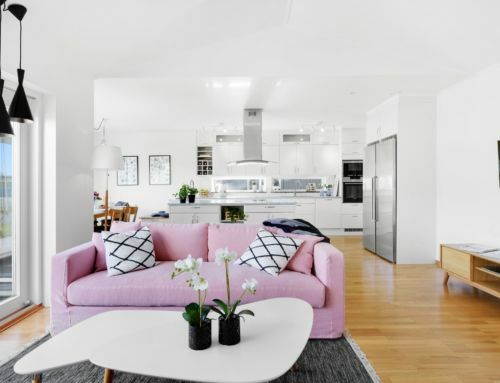 Add a set of matching cocktail napkins, and you’ll be forever remembered as the hostess with the mostest. 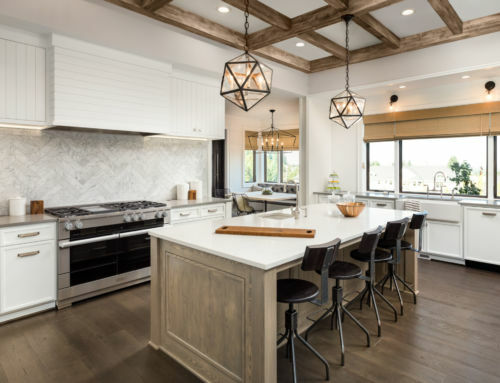 What will pair best with your wine and cheese board? 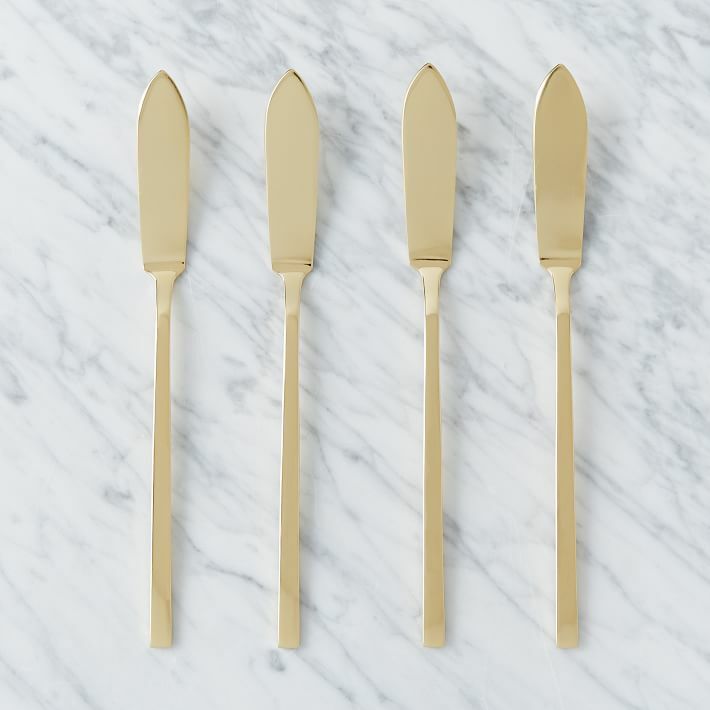 A chic set of cheese spreaders from West Elm, of course. 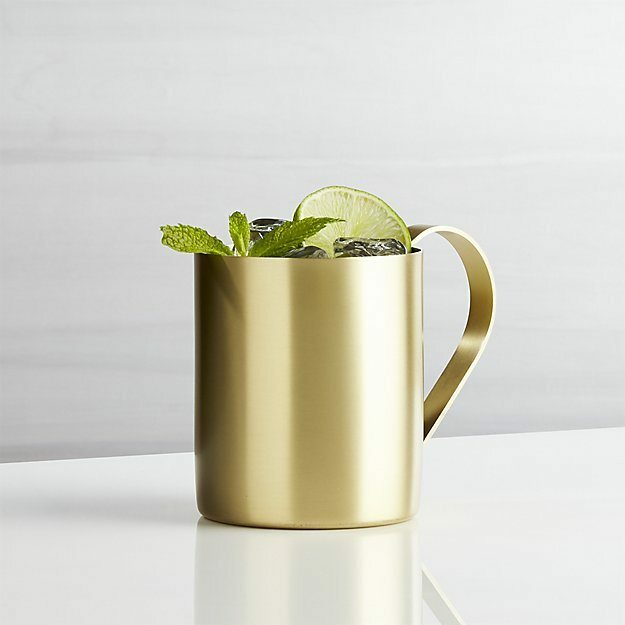 Serve your guests a Moscow Mule in this stainless steel mug with a brushed gold finish from Crate & Barrel. 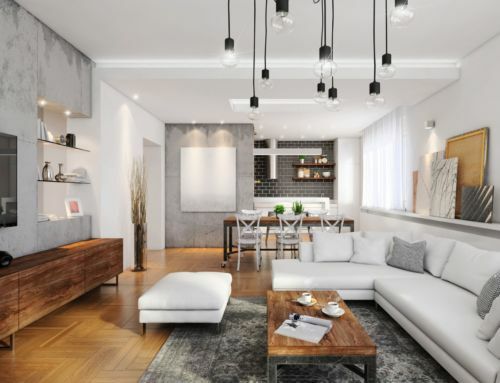 You can never go wrong with the classics. 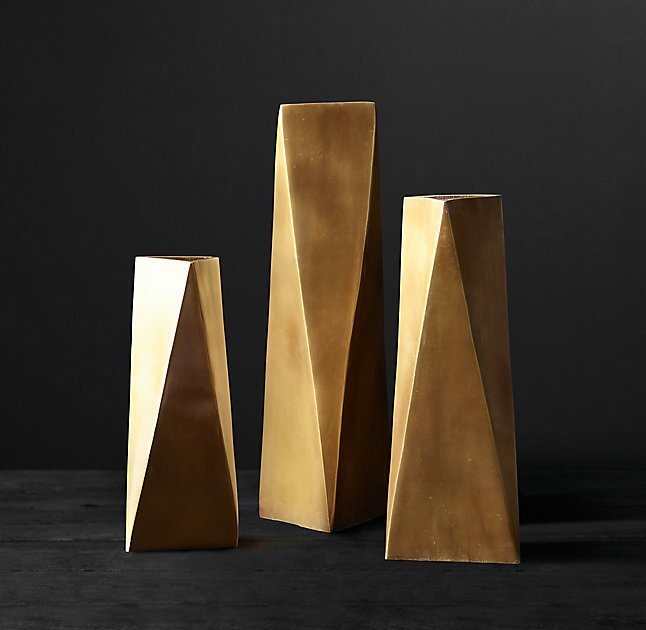 Punch up your surfaces and play up your best angles with these visually striking geometric vessels sculpted in solid brass, from Restoration Hardware. 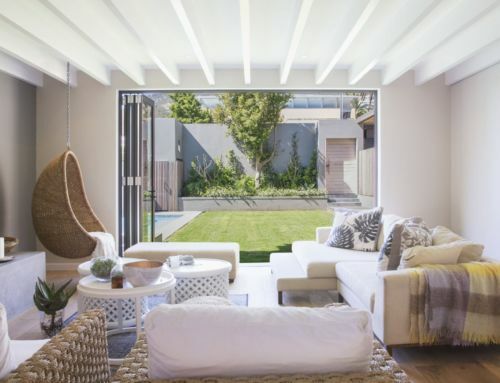 Maybe you’re feeling a little daring and want to freshen up your living room. 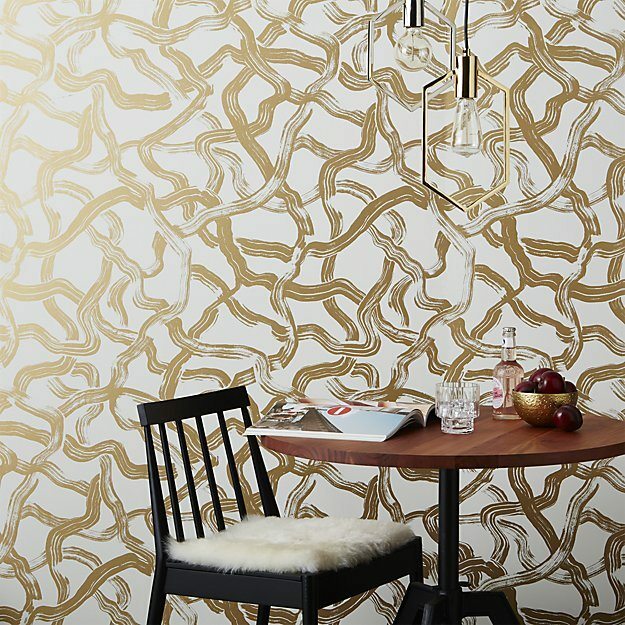 Create a winning feature wall with this artsy gold and ivory brushstroke wallpaper from CB2. 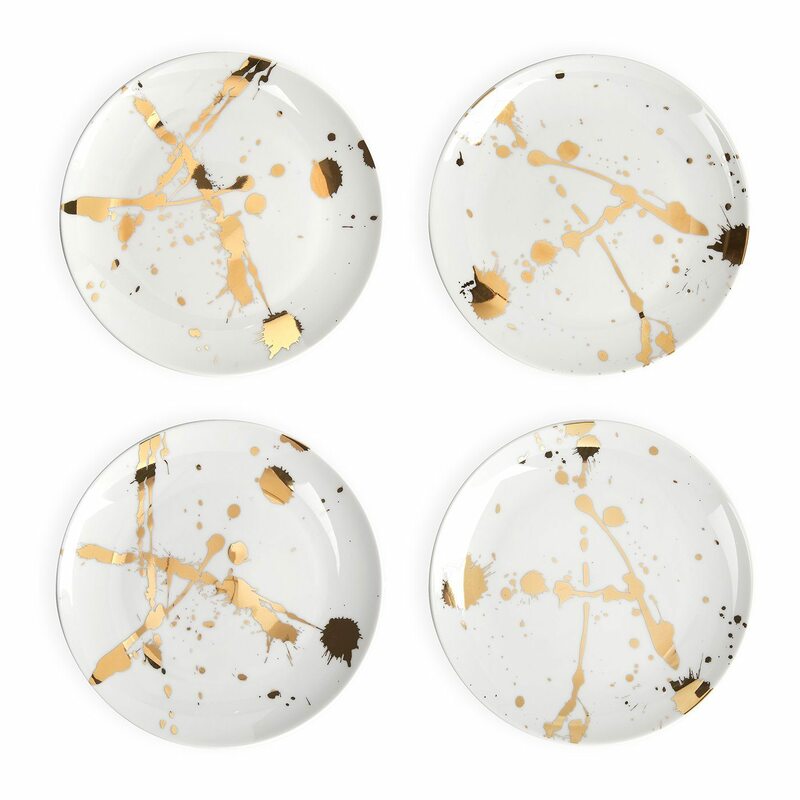 This Jonathan Adler “1948” porcelain canape plate set from Wayfair — named for the temperature at which gold melts — are chic, classic and oh-so-perfect for any kind of party. 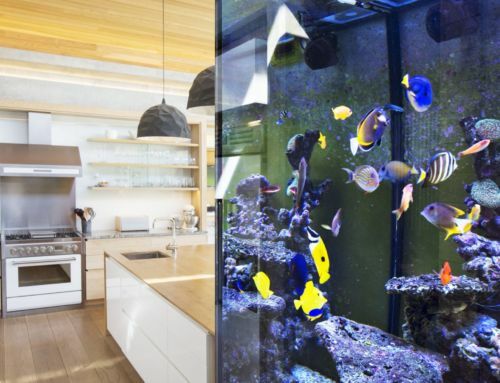 And, believe it or not, they are splattered with real gold! 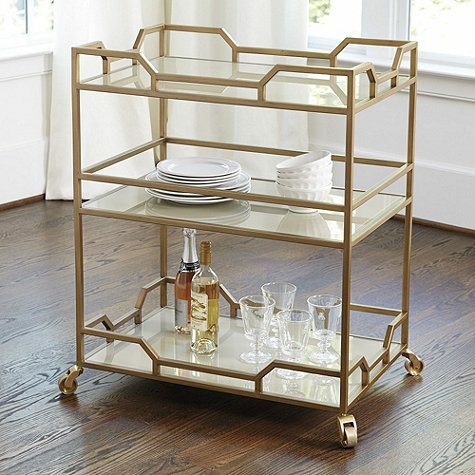 What better way to toast to Hollywood’s most glamorous night than a bar cart rendered in Hollywood Regency style? 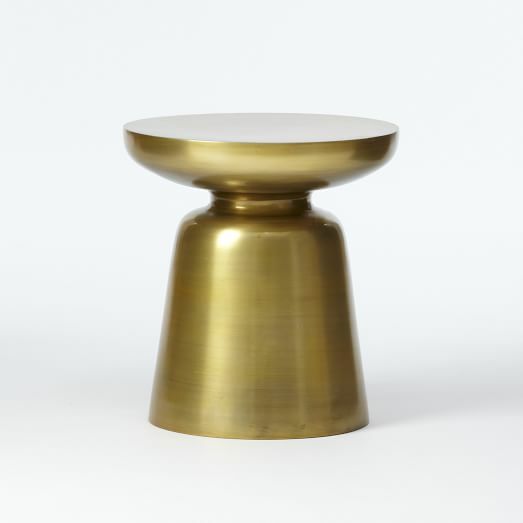 Create a full-service bar in your house with this brass Jules Bar Cart from Ballard Designs. 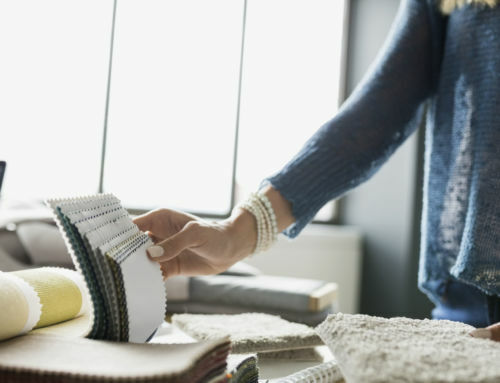 Maybe you’re not a table runner or tablecloth kind of host. 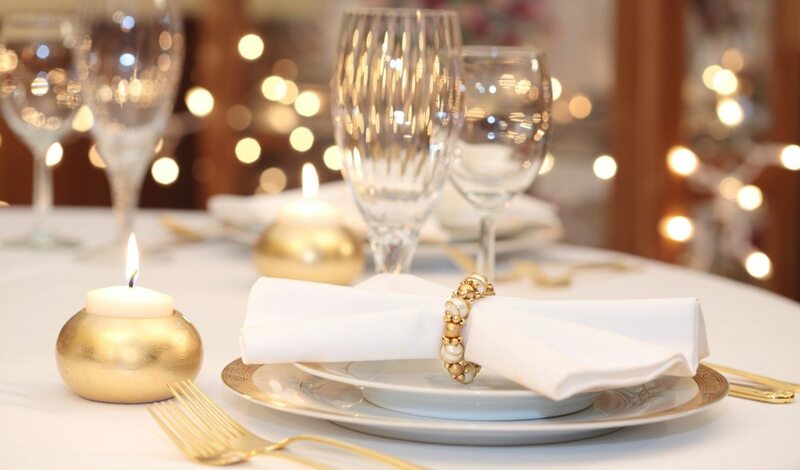 You can still dress up your table with the feminine open lace cutwork of these metallic gold Dahlia placemats from Chilewich. 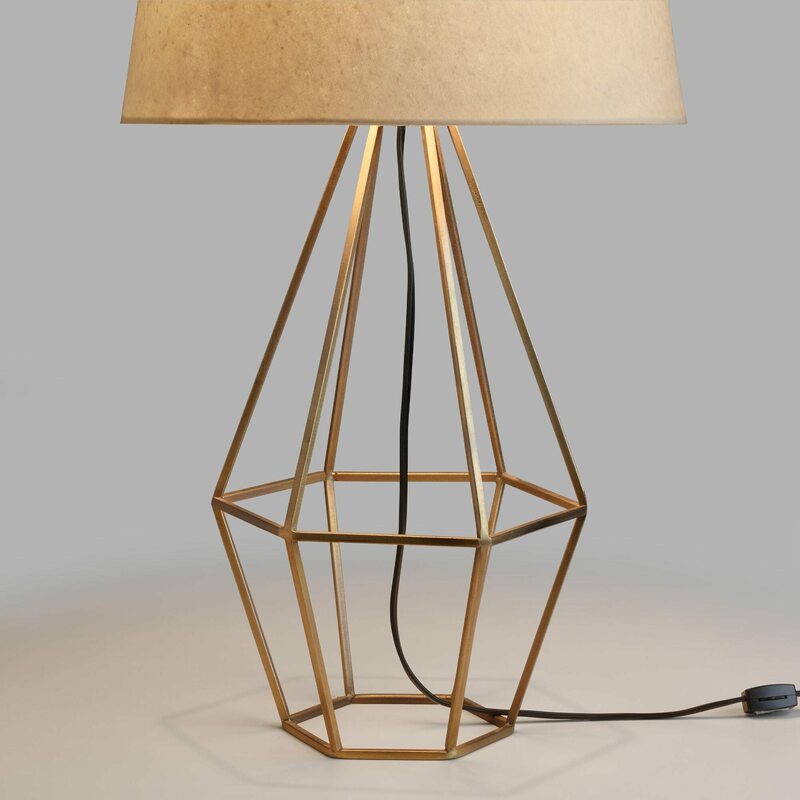 The open, diamond-shaped design and warm brass finish of this geometric table lamp from World Market will light up your living room while giving it a mid-century vibe. 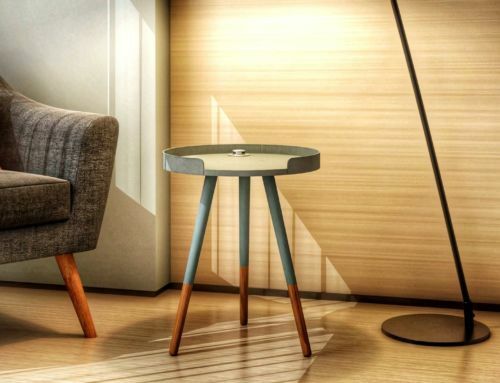 Can one serve martinis without a martini table? 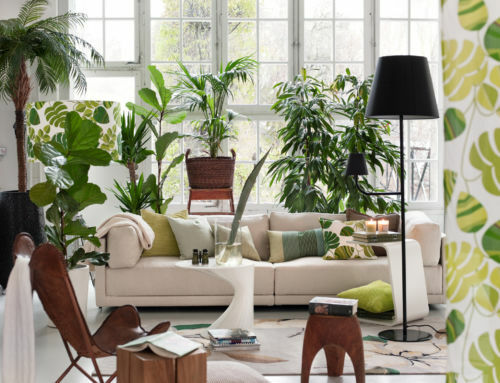 Surely, yes — but why would you want to, when you can place this fun and cool little cast aluminum addition from West Elm next to your sofa?